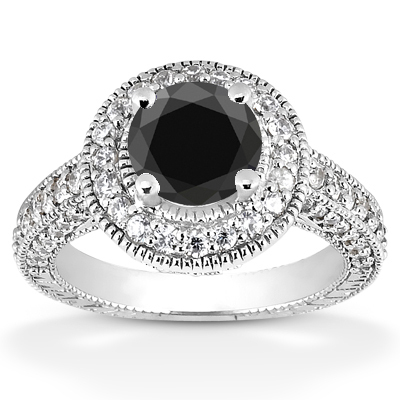 This 1.31 carat black and white diamond antique halo engagement ring in 14K white gold is the perfect piece to express that there are no gray areas when it comes to your love. 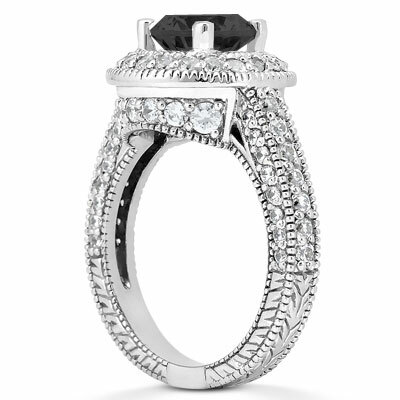 An intriguing half carat round black diamond draws the eye as the focal point of this sophisticated ring, and it's contrasted by 82 white diamonds. These accent stones form a halo around the center stone and stud the 14K white gold band on three sides, offset by delicate beaded edges. Black and white are the colors that last. 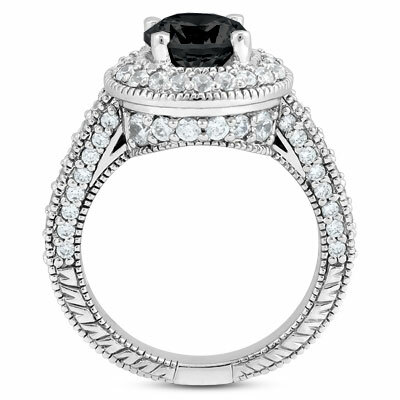 A half carat black diamond is surrounded by 0.81 carats of sparkling white diamonds in this antique halo setting. We guarantee our 1.31 Carat Black and White Diamond Antique Halo Engagement Ring to be high quality, authentic jewelry, as described above.